Skyline Trisource Exhibits is always looking for hard-working, dedicated individuals who take pride in what they do and where they work. We go above and beyond to make sure our clients are happy. We also take that same approach with our employees. Check out our available openings below! Skyline Trisource Exhibits is seeking a consultative sales professional to join our team. 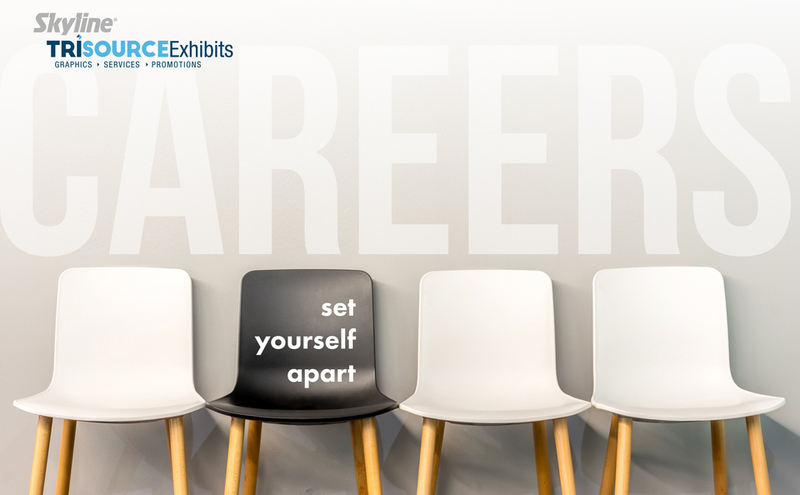 The position revolves around uncovering the exhibit needs of our clients/prospects and providing suitable solutions. Our sales team flourishes in a creative, fun, hard-working, lucrative atmosphere.